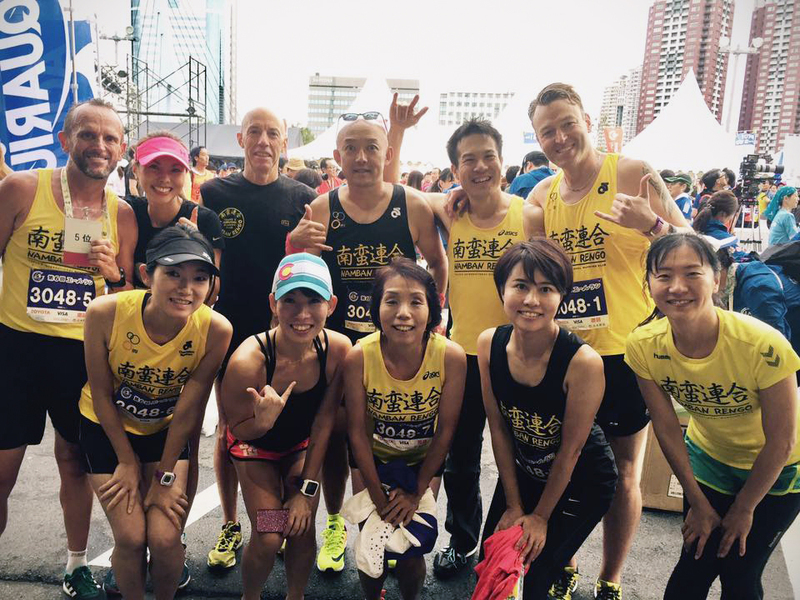 Bob P, who kindly organised this fun charity event in Odaiba held on 1st October, described this event prior to race day in the above words. 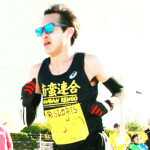 The short 1.1km (officially 1.3km) course was set in Tokyo Odaiba, near Toyota Megaweb. Very easy to access from Tokyo on the monorail. It was a relatively mild day, and at a very reasonable 12 noon start. Ten members formed our group, including (in correct running order) Bob Johnson, myself, Yuuka Yonemura, Bob Poulson, Keren Miers, Makiko Hosokawa, Taeko Hara, Yoshiro Morioka, Yumi Kato and Ikue Ohshio. Naoko Hanakawa was the genki cheerleader for the team. Unlike a normal race, the setup was time based, three hours limit, so the aim was to get as many laps of the course as possible within that time. Kind of like a Le Mans 24 h (24 Heures du Mans) car endurance race of sorts, but just three hours and two odd rules thrown at the start and the end to spice things up. 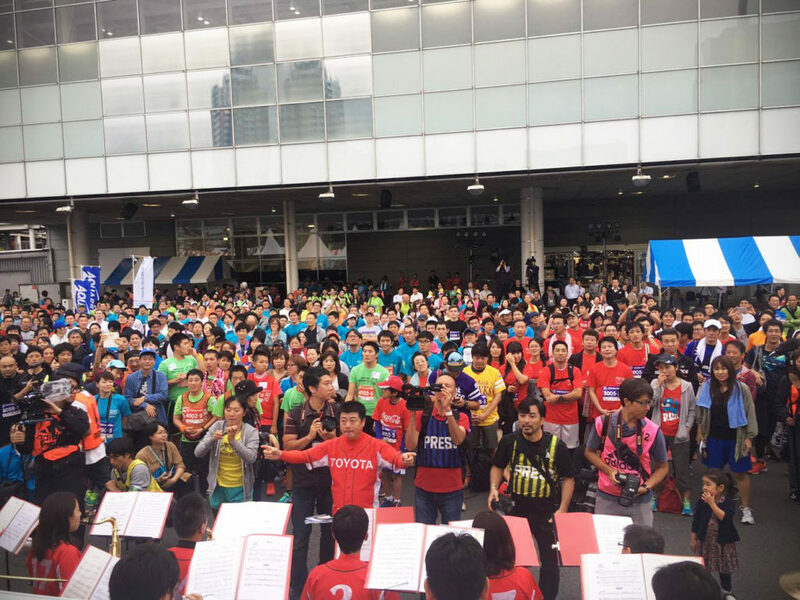 The race consisted of 184 teams so the starting block appeared quite crowded. First runner from our team, Bob Johnson, was placed very close to the starting line, near the front of the pack, something I thought to be very brave, as I have experienced burn out before when doing something similar (although not in this particular event). 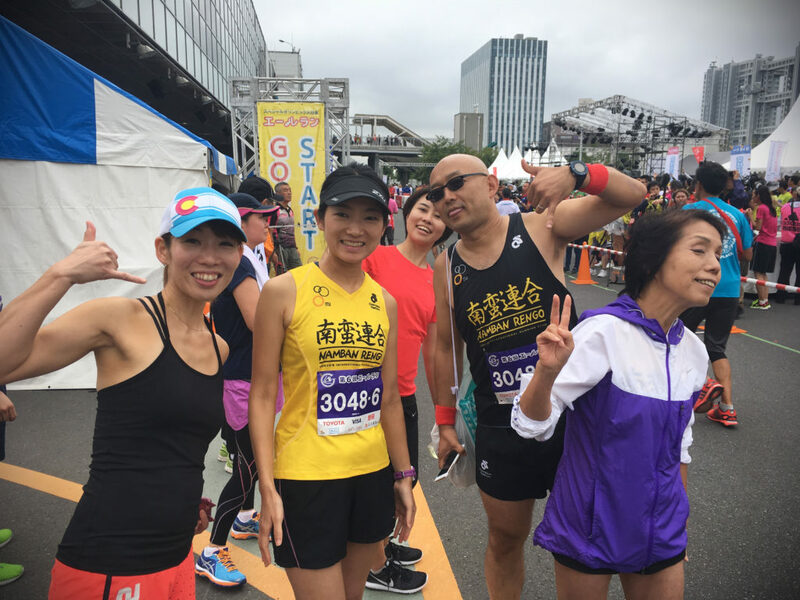 The transition (hand over) area was oddly located on opposite ends of the start/finish, so the rules announced that the first runner had to also do 1.5 laps before passing the tasuki (sash). 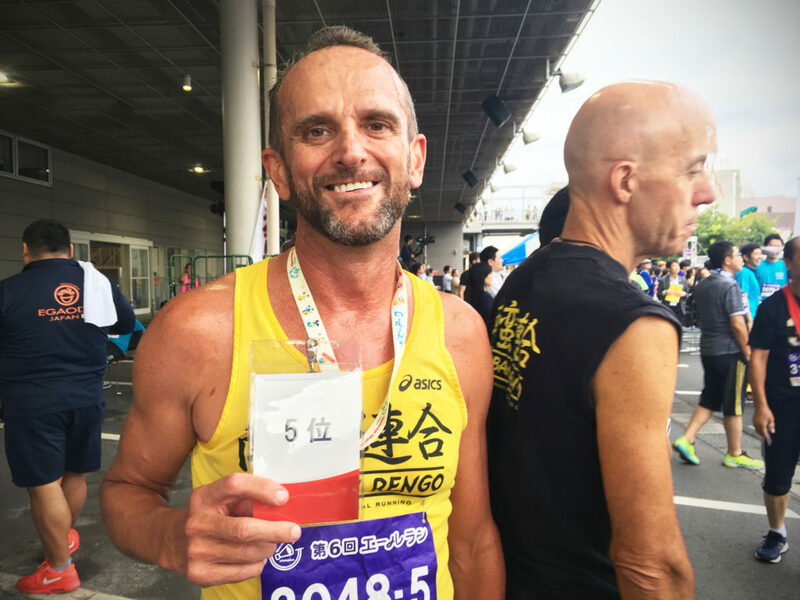 Bob J did a smashing job, and set the tone of the race for us, I think there were fewer than 10 runners in front of him by the time he passed me the tasuki. It was at this point, I realised this was not going to be a “fun” run. The race was on and we were serious. My turn, and I think I held it together for the first “sighting” lap, the small, tight course meant cheering was constant and loud and very few places to “hide” (e.g. walk). There were people struggling though, as I lapped a few runners and we were barely 15 minutes into the 3 hour race. Heading back to the large computer monitor giving race updates, I was delighted to see we were in 6th position! I wondered, could we hold this position? Still over two hours of running to go. It would be nice to be in the top 10. 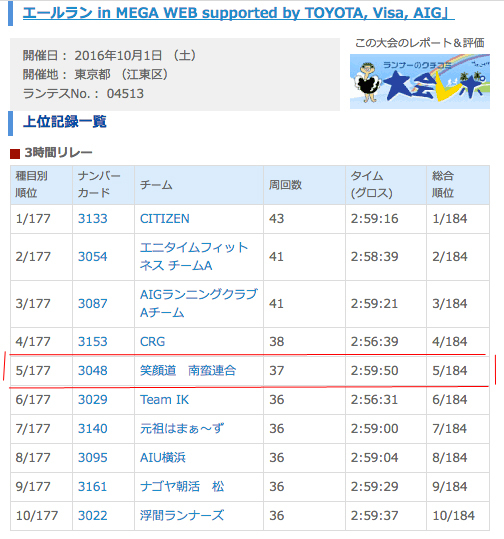 As time went on, we climbed to 5th position, and I think most of us felt we ran faster and became more at ease on our second laps (as with any race, course knowledge is very important), but then our third laps were difficult as our leg muscles grew weary. However our hand-over system worked well, no glitches, supporting was strong too (good work, Naoko!). Another quirk of this race was in the ending stages. 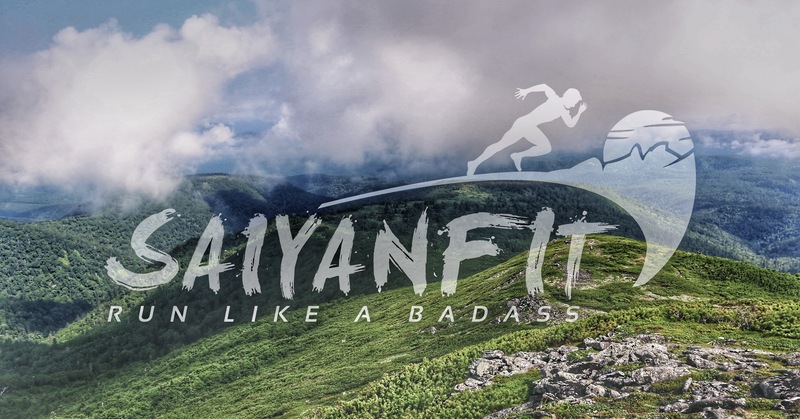 Just ten minutes from the end, they announced there would be no more change overs and put up barriers in the transition area, so the runner on the track would have to continue to run regardless! It was Keren’s lucky day as for him, it was during his fourth lap when the barricades closed, and he would have to complete as many laps by himself until we finished the 3 hours. 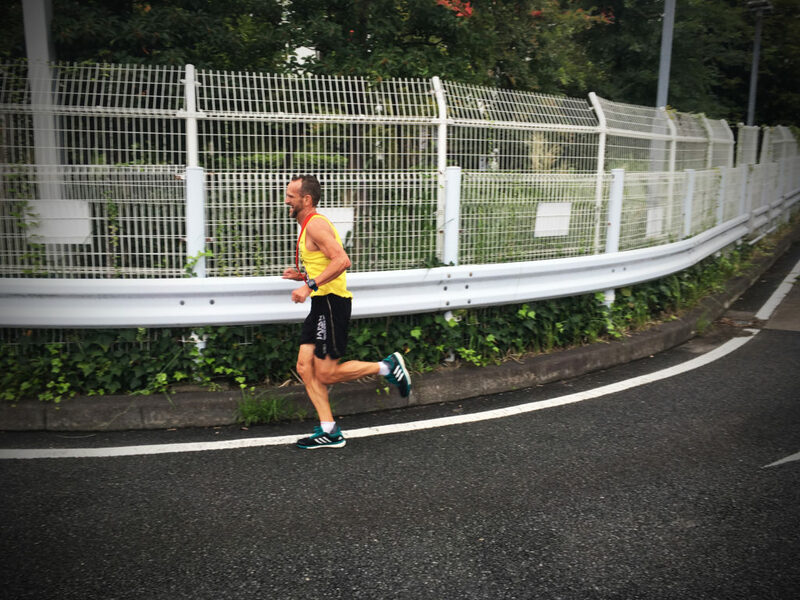 He had become our team’s anchor runner bringing the Namban flag home. This “rule” was unexpected by us, but Keren held it together admirably, getting in a few laps while we all laughed at the rules and said that Makiko-san, who was next in line, was really lucky to not have to do this duty! We counted down the time, cheering on Keren and it was almost to perfection that he finished our 37th lap in 2 hours 59 minutes 50 seconds, only 10 seconds before the siren rang and they stopped the race. I estimate this meant we covered 40.7km in under three hours, averaging a pace of 4 min 26s /km! More importantly, it meant we were overall 5th position (of the 184 teams) and podium placed! 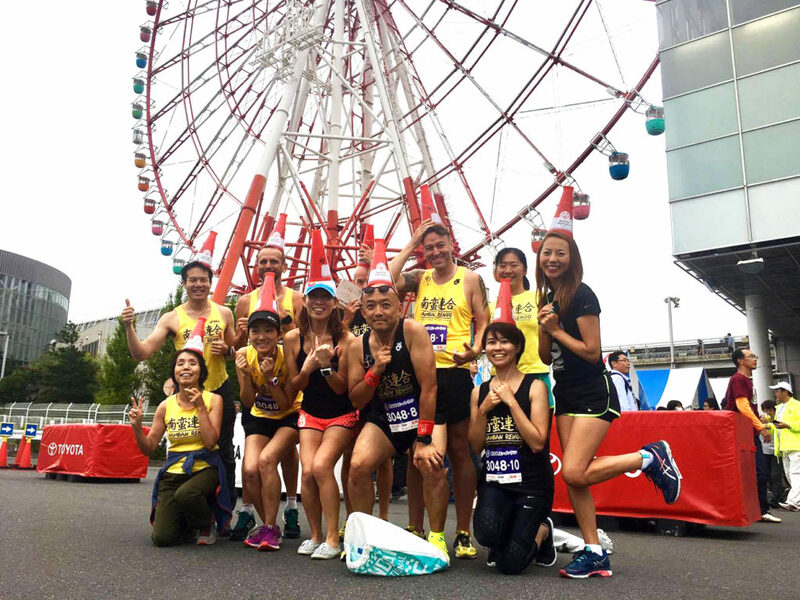 In fact, looking into the result details, there are even more amazing details of what the Namban team did – we were the the 2nd placed non-corporate team and were unofficially the 1st placed mixed male/female team! 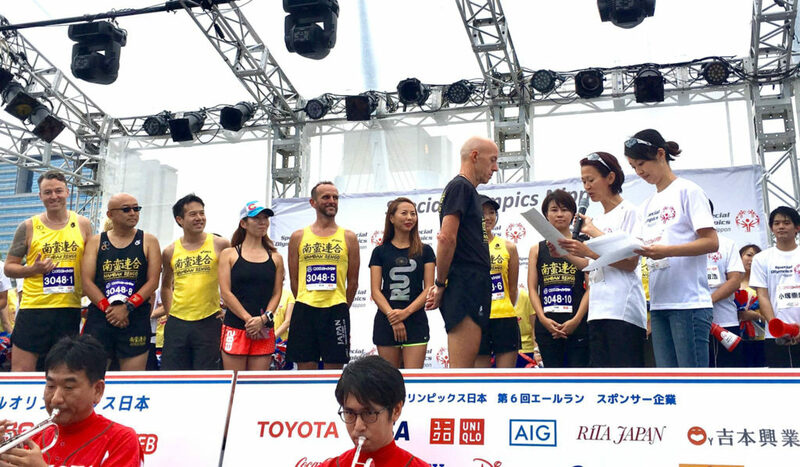 The official podium result was presented by former Olympian and elite marathonist Yuko Arimori and each of us were rewarded with autographed plastic megaphones. Miss Universe 2007, Riyo Mori, London Olympian Judo athlete, Hiroaki Hiraoka and various other famous talents were also present at the ceremony. In retrospect, it is rather comical that although the email debrief said this was “for fun”, maybe the definition of “fun” is winning, however, I don’t think any one of us predicted this very praiseworthy result! Perhaps it was from Bob Poulson’s reverse psychology tactic, or could be from great team formation plus the genius stroke in ordering of runners. In any case, it was a superb team effort, we all put in 100% and absolutely delivered the result. Well done Team Namban Rengo! 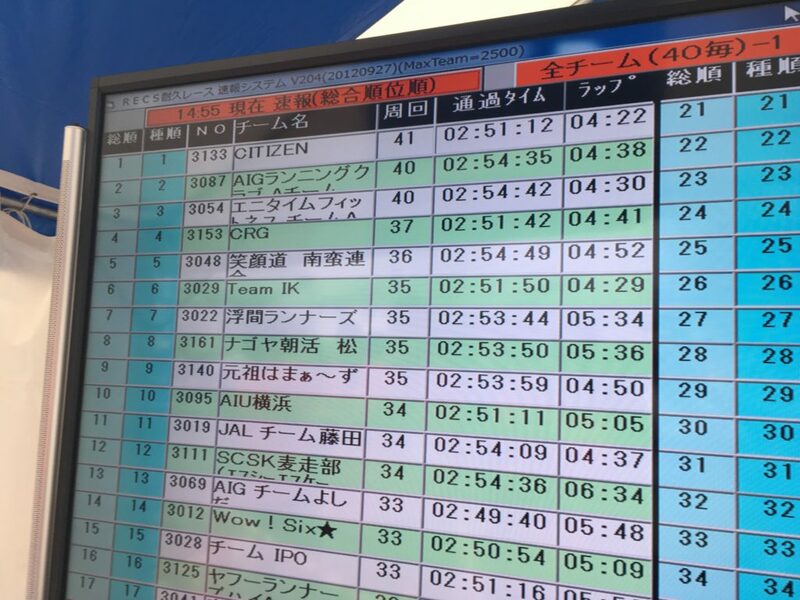 Above: The overall result, we’re 5th of 184 teams as circled. Congratulations on a great team result and report. The whole thing was absolutely excellent. Thank-you Padraig. Everyone had an enjoyable day!